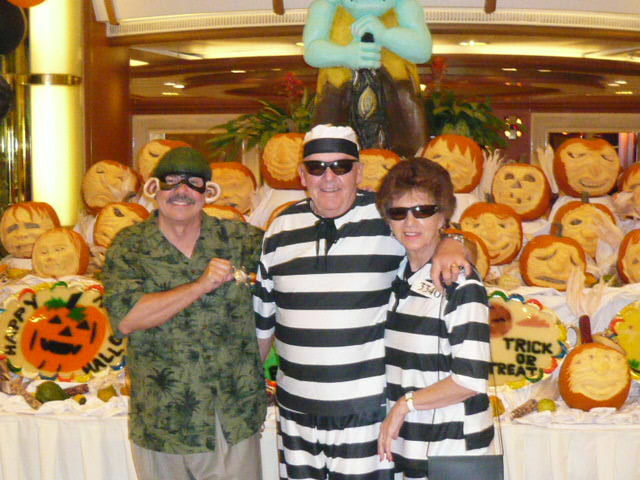 Boomers like to dress up for Halloween and attend Halloween costume parties. See pics. 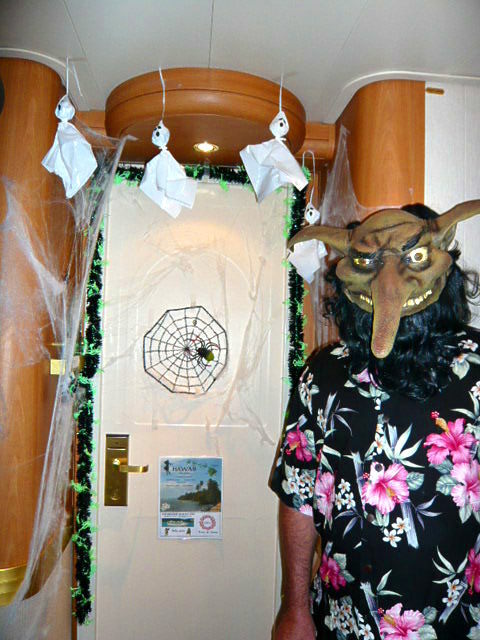 I first noticed how we Boomers like to dress up for Halloween when we took a 15 day cruise to Hawaii and on the return trip to LA we had a Halloween party on the ship. Everyone had on a Halloween costume from the passengers to the ships crew. Everyone was really enjoying the evening and the grand finale was a contest to see who had the best costumes. That was something to watch. 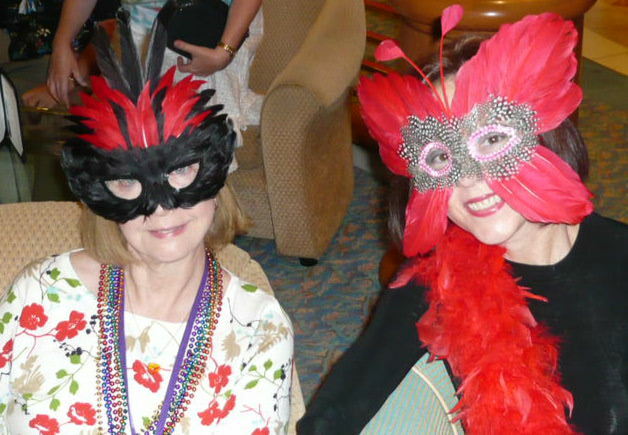 Our Boomer friends love to go to those Halloween costume party contest in bars and see if they can win some prize money. They had a really unusual costume. 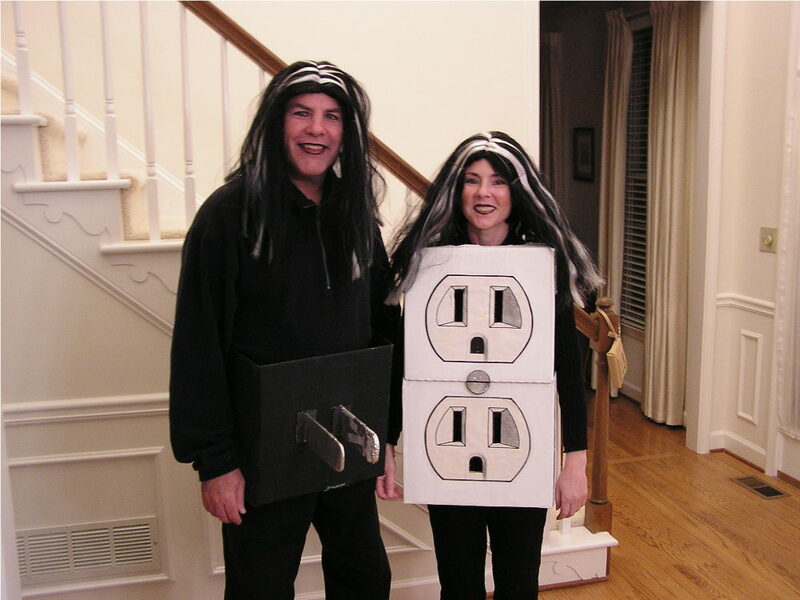 He is the electrical plug and she is the receptacle. Here is a photo I took of them when they came over to my house on the way to one of the contest. They won $150. Getting back to the Halloween party, here I am on the left as a cat burglar with a badge arresting some escaped convicts. Hey, who said this had to make sense. I know it’s just a mask but this was one of the scariest costumes and the guy was playing the part too. I think a different personality comes out when you dress up like this. These ladies were having fun, maybe a little too much fun. Ideas for trendy Boomer Halloween costumes for 2015 are dressing up as Adult Vampire Partysuit, Captain America, Zombies and Hungry Games. Also Boomers costume likes include politicians of course and Donald Trump’s hair will be interesting, but boomers like to dress up as hippies and rock stars too. Nostalgia is great for Boomer Halloween costumes, how about Bettlejuice, Sonny and Cher, Captain Kangaroo or Spock from Star Trek. For him dressing as Zorro and for her Cat Woman. Adult baby boomer costumes are interesting too. Of course there is always the popular prisoner costumes. Halloween costume theme to consider is animal themes, horror costumes and superhero costumes. The Adult Ultron Muscle Costumes – Avengers: Age of Ultron look interesting.